At the heart of Christian faith is the challenge to be a good neighbor. In John 1:14, Jesus moves into the neighborhood, while in Mark 12:31, Jesus invites us to love our neighbour as we love ourselves. In recent times, a major theme in Western understandings of mission has revolved around moving into the neighborhood. Excellent books like Simon Carey Holt’s, God Next Door and Al Roxburgh’s, Missional: Joining God in the Neighborhood (Allelon Missional Series) provide a rich theology of place. The Parish Collective exists to encourage Christians to love their neighborhoods. “Gentrification, the rehabilitation of old and degraded neighborhoods as wealthier households move in, is one of the most flagrant manifestations of inequalities that mark the twenty-first century.” (1) Everyone seems resigned to the fact that it is an inevitable social process. Tissot chooses Boston because it has sought as a city to value the neighborhood and because it represents the victory of an arriving upper-middle class in what was a working-class suburb. A key instrument was the use of participatory planning processes, along with the concept of diversity. It is a challenging and provocative thesis, one that Tissot claims she will make by analysing four planes – politics (Chapter 2), morality (Chapter 3), culture (Chapter 4) and public space (Chapter 5). This locates the research, researcher and the neighborhood. Between 2004 and 2010, she uses standard ethnography tools of attending (visits over 6 years) and interviewing (77 people). Tissot argues that this is the value of ethnography, a particularity shaped by physical proximity and scientific distance (25). Her method includes finding interlocutors, people who provide different perspectives on the community. She explores the role “played by neighbourhood associations, the vast majority of whose members were white homeowners” (12). She realizes that what on the surface appears to be an upper class suburb in fact has significant proportions of working class. She will argue that while the upper class claim they value diversity, in fact they have used their influence, primarily through voluntary associations, to create the perception of homogeneity. This chapter explores history of neighbourhood. It paints a picture of an ecology, the systems of local government and local community, enmeshed with wider economic and urban developments. It is a mistake to view a neighbourhood as autonomous. Rather it is shaped by an interlocking mesh of groups and structures. The focus of this chapter is tracing the urban struggles of the 1960s and how they generated an activism that included neighbourhood committees – “resident participation” organised “democratically.” (48) It begins because ethnic-minority activists during the 1960 protest urban renewal strategies. Yet by the turn of the century, upper middle class appropriated these structures. How did these diverse associations develop into more monochrome? “Efficient professionalism replaced the amateurism of the activists of yesteryear.” (69) Competent people in fact contribute to socioeconomic exclusion. “Websites and e-mail lists provided an opportunity for those who had mastered these techniques to introduce new rules.” (70) In other words, if you want to plan with people, key justice question include who you plan with, and how you plan? They generate authority by seeming to be committed to diversity. What is the social imagination that adds power to these concepts, mobilizing around values? Addressing this question is the task of the next chapter, as it explores how collective action happens. Congratulations to Gary Stuckey, with news last week that his doctoral thesis has gained examiners approval and he will graduate Doctor Gary in May. I’ve been working with Gary for the last four years on his Doctor of Ministry. It was a fascinating project that mixed having a go, critical reflection and deep reading in the Christian tradition. Essentially Gary tried to plant a fresh expression of monastic spirituality. He used a short course approach, offering a year long training in monastic spirituality. At the same time, in order to rigourously test his practice, he sought to measure participant’s spiritual experience, at the start, middle and end. His thesis reflects on his learnings, all the while reading deeply from across the centuries in how monastic patterns were developed and how they sought to form faith. At the same time, Gary becomes increasingly dis-enchanted with what he considers the historical rootlessness of much of what currently trades as new monasticism. With a growing interest in monastic spirituality, Gary Stuckey developed and presented a program introducing participants to historic monastic spirituality and its contemporary significance, and spiritual practices drawn from the Benedictine tradition. His thesis assessed the effectiveness of the program in enhancing participant’s spiritual experience as measured by the Daily Spiritual Experience Scale. The project also identified each participant’s spirituality type with a view to determining whether or not it was people with a more contemplative nature who were attracted to and benefited from the program. Gary found that the program did help enrich people’s spiritual experience. The resource material presented, the learning of and reflecting on spiritual practices, and discussion with other participants were major factors in the outcome. While most participants were of a contemplative type, not all were. Those who were not generally benefited from the program, opening the possibility of its wider application in the future. It was a fascinating and multi-faceted project to supervise, by a creative, dedicated and hard-working person. It promises to be a real feast, a lovely mix of practitioners and reflection. Two of the participants bring Doctoral study of their areas to the conversation, all four bring years of practical ministry immersion. My role will be to work with participants to do ongoing reflection, exploring the questions raised for them by the case studies. 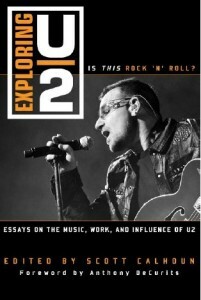 To better resource that reflection, I’ve been doing some literature searching, exploring writing in this space. (I’ve found some real gems, including Connor’s Practicing Witness: A Missional Vision of Christian Practices , but also Rosemary Keller’s, Spirituality and Social Responsibility: Vocational Vision of Women in the United Methodist Tradition ) and Gary Gunderson, Boundary Leaders ). I highlight the quote by Benjamin Connor for a number of reasons. First, because it makes sense of our Faculty at Uniting College, and the emphasis we have put in recruitment on expertise in missiology and practical theology with a congregational and “practice” focus. So it is comforting to have that affirmed. Second, it chimes with a 50 minute research presentation I did last week, in which I explored theology “face to face” in order to analyse ecclesial innovation. I ended up using the notion of performance, which attracted lengthy discussion from those present. Had I considered the downsides of performance? I suspect that had I used missional Christian practices that are “formative and performative” it would have been helpful for us all. Third, it provides a theoretical framework for the work we did at Opawa Baptist when I was Minister there, in which we clarified seven missional practices, initially for Lent, but in an ongoing way for those exploring membership. In other words, joining Opawa was about the practice of mission. We worked to frame these practices missionally, which chimes with what Connor is arguing – that Christian practices can’t involve the simple use of what we practised before. Rather, in a new context, a missional context, they will need reworking in light of the missio Dei. I preached at the ordination of five Uniting Church ministers today. They are an intriguing bunch. One is a pioneer, two are from CALD (culturally and linguistically diverse backgrounds), three are heading inter-state, which suggests an endorsement by the church nationally of our training practices at Uniting College. Anyhow, here’s the sermon. May the words of my mouth, and the meditation of our hearts, be acceptable in your sight O God. “The Uniting Church in Australia? It’s all about mission.” That’s according to Introducing the Uniting Church in Australia. Written by Andrew Dutney, currently President of the Uniting Church in Australia. When you do an ordination, always name drop the President. And so today’s Gospel reading invites us to look at ourselves, as ordinands, as gathered friends, as the Uniting church – and wonder how we shape up in light of being “all about mission” in Luke 10:1-9. Some of you learn by doing. As you came in, you should have found 2 sheets of paper on your seat. One, instructions on how to build a boat. Second piece of paper, to make a boat. You’re invited, as I speak, to build a boat. Some of you learn not only by doing but also by hearing, so come with me to our Bible passage, to verse 1. Which offers a glimpse of God. Who is God? Well in verse 1, God is revealed as a sending God; appointing people, for the purpose of sending people. And the purpose of that sending is for wider society. That’s in verse 2 – the word “harvest” which is repeated three times in case you slow and you’re began to drift off at that point in the Bible reading. You are sent, for a harvest. Any farmers in our midst, any wine growers, any orchardists – will be the first among us to realise the urgency of this sending God, the overwhelming focus that needs to be on wider society. When the harvest is ready, you simply work. From dawn to dusk. Because every minute you delay increases the chance you’ll lose your harvest – to birds and blight, to rain and rot. So this image of God as a sending God, is set in a context of urgency, an urgency shaped by a concern not for our internal needs, for our own survival, for your own agendas. But for those of wider society. That’s the God we meet in Luke 10. This image of God is consistent with how Luke, with how the Gospels, with how the church through history has experienced God. The theological word – what you 5 being ordained, heard time and again at College – missio Dei. It’s not that the church of God has a mission, but that the mission of God has a church. It’s not that we’re bringing people to the altar but that we’re bringing the altar to people. That’s who God is. Let me unpack what this might mean with a story. A few weeks ago, I was doing some research on churches in Australia engaged in community ministry today. I interviewed a church that had planted a community garden. Now more and more churches are doing this. What was unique about this church was that they planted their community garden on a rooftop, four stories high. In central-city Sydney. In explaining to me how this 4 stories high, central city community garden began, I was told that the church decided to plant a garden, because it was something they knew nothing about. They had no gardening experience. And so that’s why they decided to plant a garden. Which meant that they had to ask for help. From the local community. And so as a result of asking for help, local gardeners are now deeply integrated into this community ministry. And it feels a really genuine “harvest” to make a pun out of the story and the reading in Luke . Which I think is what’s being suggested by this Gospel reading, the behaviour’s the sending God is inviting us to in Luke 10. Take nothing. When you do that, you’ll need help. Speak peace. Peace is a First Testament word. It’s the Hebrew word “shalom.” It’s about peace in all of life. Peace up with God. Peace across with people – neighbor, migrants, strangers. Peace, down with the earth, in the gardens, on which God-in-Jesus walks. Look for healing. For wellbeing in people’s lives – for wellbeing in our communities. Up with God. Across with neighbor, migrants, strangers. Down with earth. It’s flipping upside down our traditional understandings of mission and of what it means us to be a good neighbour. What if the task of the church in mission is actually not to be a good neighbour? Rather what if the task of the church is to act in ways that enable our communities to be good neighbours? How’s that boat going? Do you have a name for it yet? So what does this mean for ordination? For you 5 – Sherrin, Esteban, Adam, Karen, Casey. For us gathered as church and friends to support you? One way to explore that question is for each of us to ask ourselves where we want to locate ourselves in this Bible reading. Do we want to locate ourselves by siddling up and standing beside Jesus. To find ourselves at the centre of the action, who sends people out into God’s world? Good news is that we’ve built an entire church culture around that mode of mission. We’ve developed enormous resources to sustain that type of leadership. Bad news is that this way of being church requires a world which died about 30 years ago. I’m being dramatic. I’m a preacher. And there are, of course, exceptions. But the reality is, that the church with minister at the centre, sending people out, is now a very old-fashioned way of doing ministry. Is that where you want to locate yourself in this text? Or do you feel most comfortable being sent. Taking no bag. Speaking peace. Accepting hospitality. Looking for signs of healing. Bad news is that this is scary and vulnerable. It might not work. It might come across as manipulative. It might leave you, like a disciple in Luke 10, hungry with nowhwere to sleep. Or a church with a community garden that is indeed a fine example of how little you know about gardening. Polite way of saying dead. 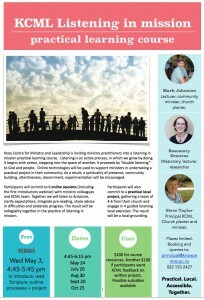 If that’s the bad news, the good news is that this is the vision of ministry at the heart to being the Uniting Church. The Uniting Church recognises … a period of reconsideration of traditional forms of the ministry, and of renewed participation of all the people of God in the preaching of the Word, the administration of the sacraments, the building up of the fellowship in mutual love, in commitment to Christ’s mission, and in service of the world for which he died. Which is why I chose Luke 10 as our reading. And why I’ve invited all of us, you 5 being ordained, all of us church and friends, “the whole people of God” to try and locate ourselves in Luke 10. Perhaps it because Luke 10 has shaped the mission life of the church down through history. Like Brendan the Navigator. Born in Ireland, 5th century. Became a monk. Served the church faithfully. Then at the age of 80 sensed God calling him to a new adventure. I’ll repeat that. At the age of 80 – always good to have something to look forward to – sensed God calling him to a new adventure with God. Which included building a boat. With a sail. But no rudder. No way to steer. St Brendan, felt that he was called to literally trust the wind of the Spirit. Like in Luke 10 – to be sent by a sending God. 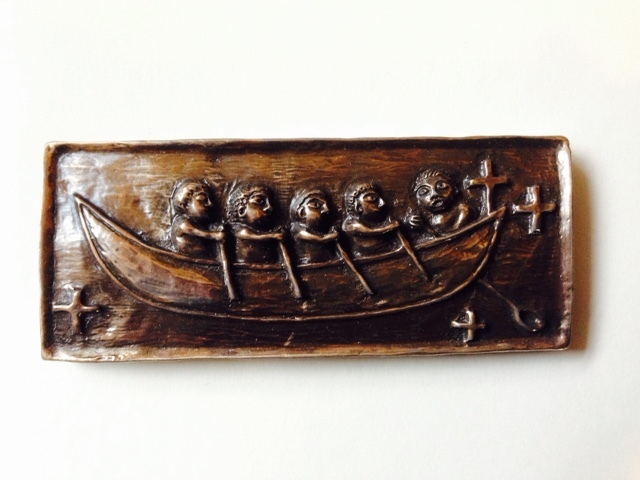 The story goes (The Voyage of Saint Brendan: The Navigator ) that Brendan set his boat free, with his 12 disciples, from the Dingle peninsula, down bottom of Ireland. He and his disciples drifted past the northern Isles of Scotland, then the Faeroe islands, then Iceland and eventually over to North America. Where-ever they went, they where shaped by Luke 10. They proclaimed God’s peace. Shalom, up, across, down to all creation. But we’re all educated people aren’t we. We all know Christopher Columbus was the first person from Europe to land in America, not an Irish monk named Brendan. In a boat with no rudder. Then in 1970, a man named Tim Severin, as part of National Geographic expedition set out to disprove the myth. He built a boat exactly like Brendan the Navigator. But with a radio to call for help. Set sail from Ireland. Sure enough, the winds and the tides carried him to North America, by exactly the same route and with many of the same adventures, that Brendan the Voyager wrote of. Brendan the Navigator was inspired by today’s Bible text Luke 10:1-12, to build a boat, and go on an adventures with God. So that’s one name for your boat. Brendan’s boat. On these roads that the Celtic church did mission. Take no bag – just a boat with no rudder. Speak Peace. Looked for healing. So that’s another name for your boat. Peregrine – pilgrim. And then there’s the Uniting Church. To be more precise the emblem of the Uniting Church. Reading from the book with which I started, President Andrew Dutney, Introducing the Uniting Church. And no rudder. That’s Steve Taylor not Andrew Dutney. Because, says Andrew “We are uniting, not united. We are on a journey,” a pilgrim people, “looking to the future.” So that’s perhaps that another name for your boat. You as 5 ordinards. Us as the church – that in every Council and in every ordination and in every act of ministry and in every decision, about finance and property, a Uniting Church. A Uniting Church in Australia. In which it’s all about mission. May the words of my mouth, and the meditation of our hearts, and the actions of the Uniting Church, be acceptable in your sight O Sending God. Staying in inner-city Melbourne, you will experience the pulse of city and encounter a huge variety of models of ministry and mission, including churches, mission organisations, and innovative projects.This unique opportunity can be studied at Undergraduate and Postgraduate levels. The cost is $550, which includes all accommodation and transfers and you’ll need to make your own way to Melbourne. Standard tuition fees apply (FEEhelp and Studyassist available). Find out more by phoning Student Services on 8416 8400 or visiting on Facebook. Rev Mark Reisson is the Coordinator for Mission and Community Engagement with Churches of Christ in SA and NT, coordinates Surrender Conference in SA and is an adjunct faculty member of the Adelaide College of Divinity. The Australian Association of Mission Studies tri-annual conference is in Adelaide in October 2014. With Anthony Gittens the guest speaker, it promises to be a rich mission feast. The theme is Margins, Mission and Diversity and the conference will also acknowledge the tragic death of Ross Langmead. Together toward life: when The Shaping of Things to Come is much more bleak. The 2013 Commission on World Mission and Evangelism statement on mission encourages the local church in Spirited experimentation, (Local Congregations: New Initiatives). This could be argued to be a discernment of the Spirit’s activity on the margins of the church, for the sake of the world. Such a (marginal) call is not new to Australia. 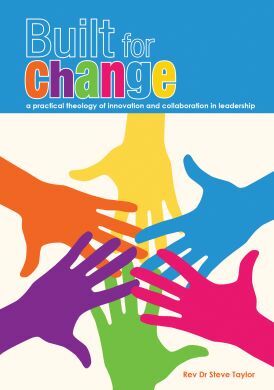 The Shaping of Things to Come: Innovation and Mission for the 21 Century Church (2003, first edition) is considered a seminal Australian text in missiology. 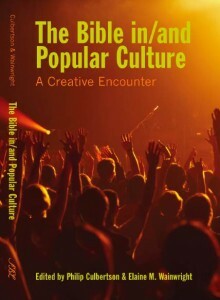 In chapter two, titled “Hope of Post-Christendom”, Frost and Hirsch present six stories of new initiatives in mission. Investigation ten years reveals that three of these “hopes” are now closed (two incurring significant financial loss, a third misrepresented). Such levels of failure in experimentation are consistent with data emerging from New Zealand and United Kingdom. Of the five communities described in Threshold of the Future: Reforming the Church in the Post-Christian West (Gospel and Cultures) (1998) none now survive. In the United Kingdom, of twelve communities researched by the author in 2001, only five now survive. If new forms of church are the shaping of things to come, how might we respond missiologically to such data? Three responses will be explored. First, Biblically, in the mission of Epaphroditus in the letter to Philippians. Second, historically, how The Lost History of Christianity: The Thousand-Year Golden Age of the Church in the Middle East, Africa, and Asia–and How It Died understands the rise and fall of Christianity. Third, theologically, how a hermeneutic of surprise, emerging from Romans 8:15 (The Message) and the Pixar movie Up, values adventure over sustainability. Just off the phone from the conference organisers of Offspring. 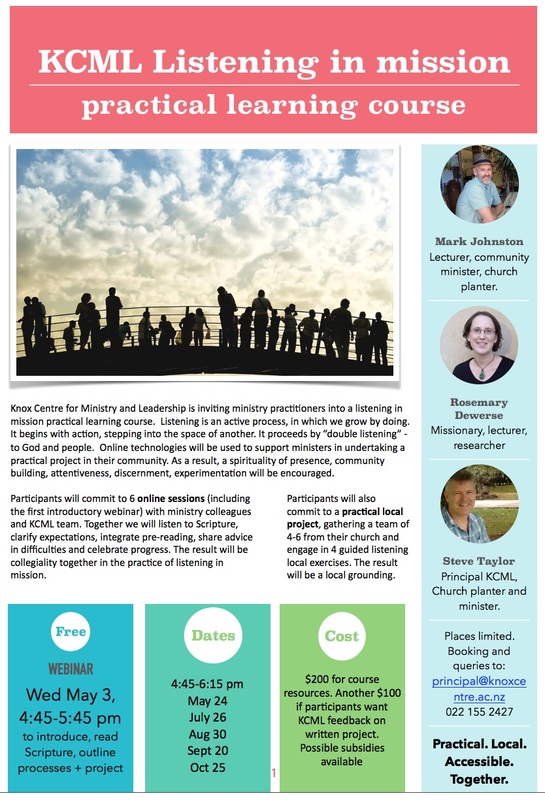 It is a New Zealand Presbyterian initiative, a weekend (Friday 4 – Sunday 6 October 2013) resourcing those in new missional ventures. It will involve sharing stories, learn, reflect, worship, pray together, good food and good company. They had hoped for 40, and are delighted with around 75, most of whom are either trying something, or dreaming. The aim is to share passion, ideas and imagination for the Church and build leadership. Sustainability in fresh expressions – I will offer my UK research, on sustainability in new forms of church in the UK, and the ways in which the church inherited (Fresh Expressions) has partnered with new ventures on the edge. Fresh expressions in New Zealand history – I will share some stories from New Zealand mission history. 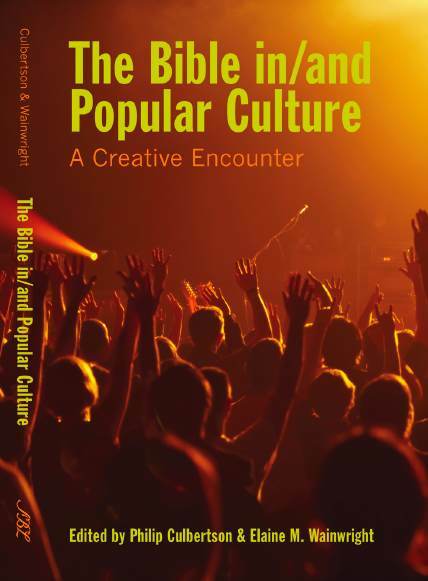 Likely stories include the missio Dei of Tarore, the radical healing stories around the Kaiapoia Pa, the use of Scripture at Parihaka, the urban mission movements around James K Baxter. Then we might use some Australian indigenous storytelling techniques to explore what these stories might teach us for today. 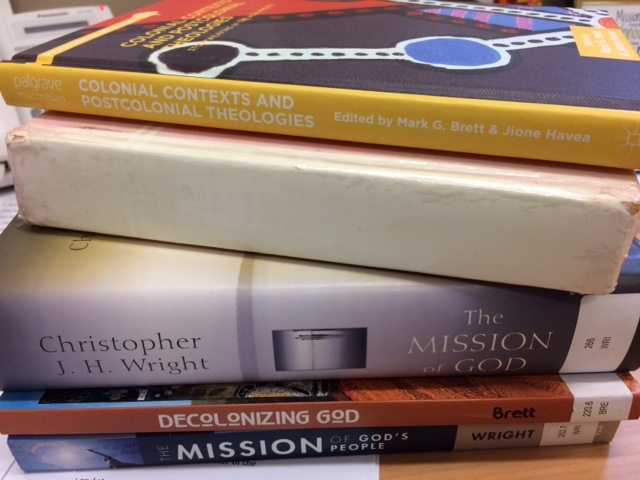 What I’m hearing – an interactive session in which I reflect on the theological, ecclesiological and missional learnings in the four new missional venture stories being told at the weekend. Where we’re going – a final session in which I’m likely to weave Brendan the Navigator, Luke 10 and the soundbites from the weekend together. It will be great to be on home soil, albiet only for a weekend, resourcing God’s mission. My copy of The Armenian Gospels of Gladzor: The Life of Christ Illuminated arrived today. 60 colour plates, presented by the J Paul Getty Musuem to celebrate the Christian church in Armenia, featuring the Gladzor Gospels, illuminations produced by Armenian monks in around 1300. Gorgeous in colour they describe a faith that crosses culture – from Jerusalam to the sands of Armenia, that takes root in indigenous cultures, in this case Armenian, that is fabulous in colour, calling forth a visual awareness of Christ. This is how I understand fresh expressions – faith transmitted by creativity, via culture, in Christ. There is a strong emphasis on Christ the healer. One-sixth of the illuminations of the Gladzor Gospels focus on healing stories. This is compared for example with Giotto, who has only one panel in 38 dedicated to Christ the healer, or many other artists who focus on Christ in infancy or passion. More on Christ tomorrow, as we explore the interplay between human and divine. An introduction to communion that I shared today, working with our candidates, faculty and visiting ministers, gathered around the topic of self-care. There is a story of some ministers gathering. Much like us today, to wrestle with ministry. In the question time, a question is raised. A person aware of their world, concerned about the church. How can we bring people to the altar? The response is made. Is the question how do we bring people to the altar? Or is the question, how do we bring the altar to people? An important reminder as we gather. It is not that we come to communion, but that in communion God comes to us. In this we are invited to participate in God’s mission. Yes, it is about our care. In communion God feeds us, centres us, re-values us around grace and redemption. But it is more than that. It is also about care for the church. In communion God feeds the church, centres the church, re-values the church around grace and redemption. But it is more than that. It is also about care for the world. In communion God wants to feed the world, wants to centre the world, wants to re-value the world around grace and redemption. And so we pray; Spirit, fall on us, that these elements of bread and wine may be for us a participation in your life, love and mission, your bringing the altar to people. 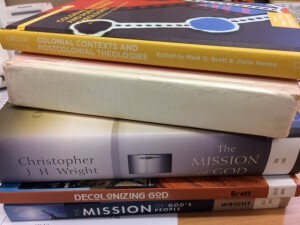 Today I’ve been writing (Sustainability and fresh expressions book project) on the history of mission in Great Britain. What has the God of mission been up to in the past? How might that help us analyse the current and dream of a future? 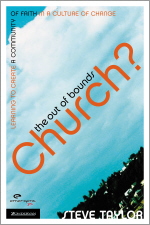 Often church structures impede women, as so eloquently attested in Maggi Dawn’s recent book. But sometimes (albiet probably unintentionally), they allow the body of Christ to experience “new scope for women’s energies and gifts.” In other words, to more fully be the body.